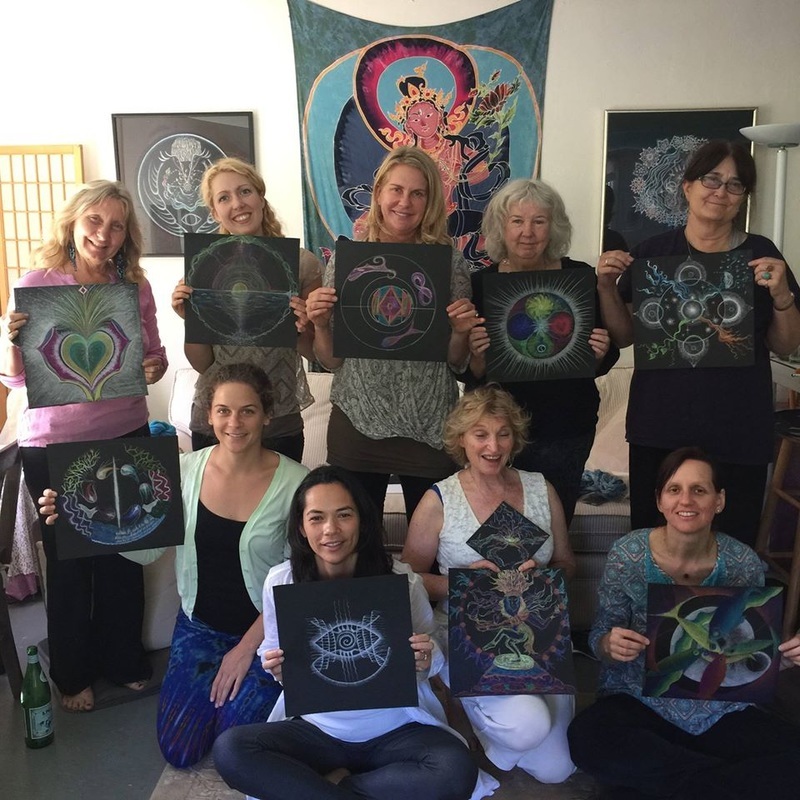 Embodying Our WHoly HeARTed Luminosity & Mandala Manifesting! Work scholarships available. Please email us if interested. Join Julia and Barbara for a unique and intimate opportunity to revitalize your human blueprint and to awaken this ancient "l" at the core of your cells. As we re-member, we are reclaiming our evolutionary healing potential and bio-cosmic heritage, which we share with all life forms. In these workshops, we compassionately re-member and celebrate the luminous Ocean of Light within and around us. Just as life on Earth began in the oceanic womb, we gestated inside our mother’s womb. Similarly, our planet and her seven oceans originated inside the infinite cosmic Ocean of Light. This Ocean of Light is known by many names: chi, prana, ka, God, Great Mother, Mystery. When we cry, our salty tears remind us of our oceanic origins.This Ocean also resides in our DNA and every cell of our human body. As we transmute and release toxic emotions, thoughts, sensations, and symptoms from our human form, we do the same for the seven oceans of our beloved planet. We will use Continuum Movement** and the language of Sacred Mandala Art*** to reclaim our original lifeline with a creative cosmos. When we give voice to the body, and allow inner images to find creative expression in the drawing of sacred mandalas, we integrate new pathways towards wholeness and healing. These energetic pathways continue to in-form us as we return to them for inner guidance and inspiration. As we utilize ancient and modern technologies, we invite the cooperation of all healing life forms and spirits. We participate in our co-evolution with a larger planetary process. We dedicate our intention for healing to all sentient beings seen and unseen.